APPLICATIONS are now being considered for the State Government's bypass consultative committee. The Community Consultative Committee was announced by Deputy Premier and NSW Leader of The Nationals John Barilaro when he visited Coffs Harbour to announce a re-commitment to tunnels. 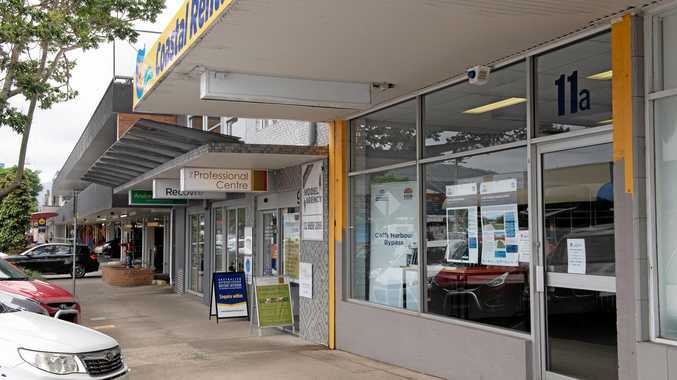 Mr Barilaro came to Coffs Harbour on January 15 to make the announcement flanked by Nationals Member for Coffs Harbour Andrew Fraser and candidate Gurmesh Singh, but a notable no-show was Minister for Roads and Nationals Member for Oxley Melinda Pavey. She has been widely criticised for her handling of the issue and reluctance to answer questions following her surprise announcement in September last year that tunnels, long considered a done deal, would be replaced by cuttings and the euphemistically termed 'tunnel type arrangements'. State candidates for Coffs Harbour at the action group's forum. There will be a similar forum for Federal Cowper candidates on March 6. 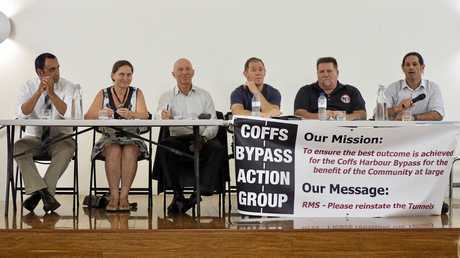 Coffs Bypass Action Group. The Coffs Bypass Action Group has written to Minister Pavey seeking her assurance of three bored (or drill and blast) tunnels will in fact be included, but as yet no response has been forthcoming. 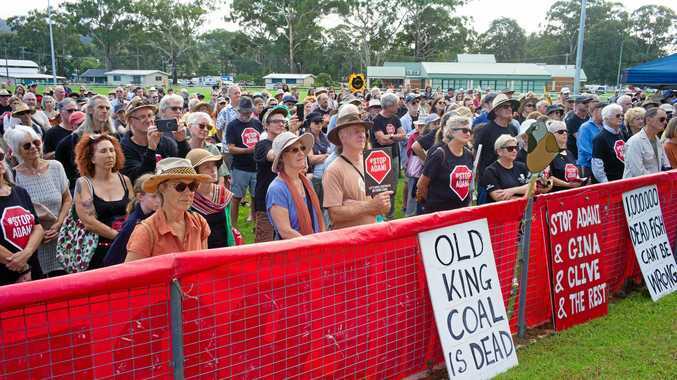 "If we don't get a response, all I can say is that the NSW Government is likely to renege on their promise of three tunnels," Graham Stubington AM explains. Action group members Mr Stubington and Marina Rockett have nominated to be on the consultative committee. The action group is continuing to lobby politicians because of what chairman Brian Polack describes as a lack of explicit definition of what senior Coalition politicians really mean by tunnels. He says senior politicians are using the word 'tunnels' but always adding 'we must listen to the experts'. Member for Coffs Harbour Andrew Fraser explained to The Advocate the State Government would inject a further $300-million into the project to see total costings capped at $1.5 billion. This he said would allow for tunnels to be incorporated into the design planning, however the construction design would rest with the engineers and the project management team. An RMS representative has confirmed that the bypass consultative committee is being established by the Department of Planning and Environment (DPE). Apart from appointing its own representatives to the committee, it is independent of Roads and Maritime Services. Applications closed on February 18 and the DPE will appoint representatives within 28 days of applications closing. "We understand the first meeting is expected before the end of March," an RMS spokesperson said. Coffs Harbour City Councillor Keith Rhoades has raised concerns over the timing of the first meeting with the state election on March 23. He has dismissed it as a 'meet and greet' and has also expressed doubts the EIS will be out by the middle of the year. "Information I have is it won't be out until September," he said at the recent Coffs Harbour City Council meeting. Up to three representatives from Roads and Maritime; including the person with direct responsibility for environmental management of the project.